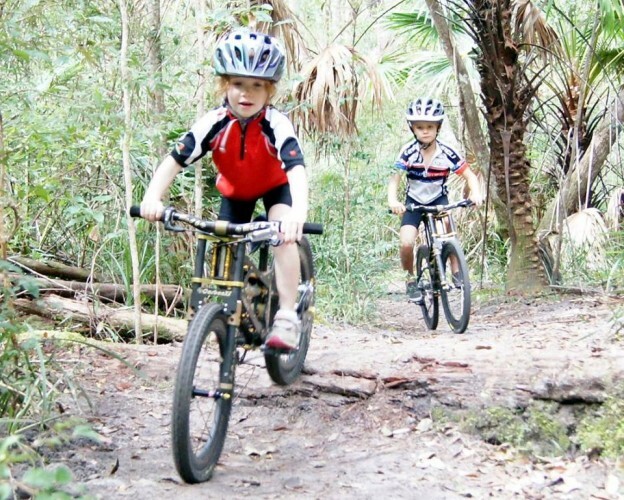 The lightest kid’s MTB on the market. Also, BRAAAAP! Oh, to be a kid again! The long afternoons, responsibilities limited to cleaning your room and dinner plate, and 15lb carbon fibre full-suspension bikes. The CarbonXS Mad 6 is an Australian full suspension cross-country race bike, tuned specifically for riders in the neighborhood of 25kg (~4 stone). 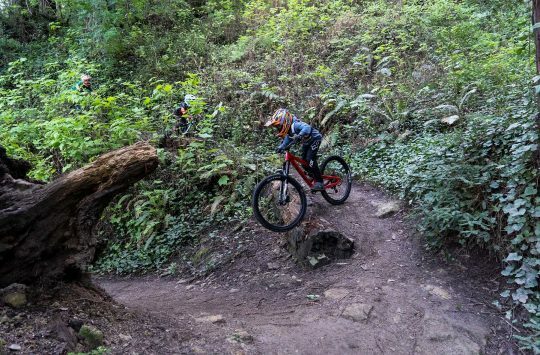 More than just aping ‘big kid’ bikes, the Mad 6’s front and rear suspension is said to work properly – smoothing bumps and aiding traction – allowing the youngest members of the family to keep up with siblings and parents on even the toughest trails. CarbonXS’ bolted-together I-beam construction may not be the lightest approach, but it is economical and lends itself to custom geometry. Similarly, 3D-printed junctions to allow for (what we must assume will be) very low production numbers. The shock’s titanium spring is custom-wound for CarbonXS and the wheels won’t be found anywhere else. It’s quite something. 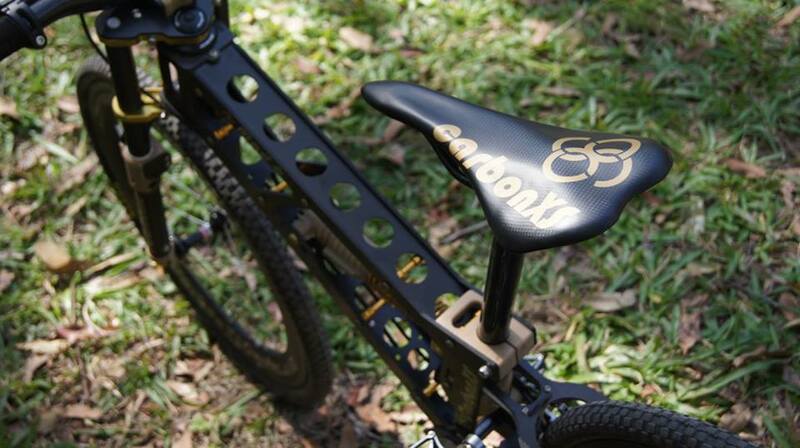 Each bike is hand-built to order and frame geometry is tailored to rider size. 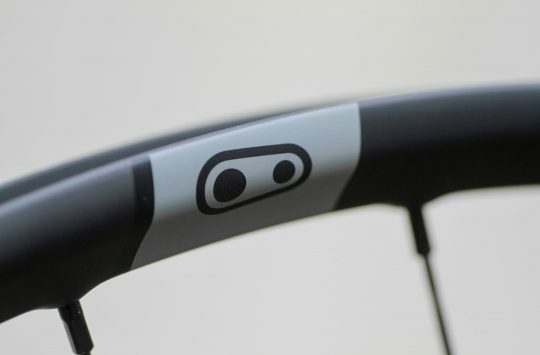 Componentry is a SRAM 9s X0/X9 Grip Shift mix- but XTR upgrades are available. 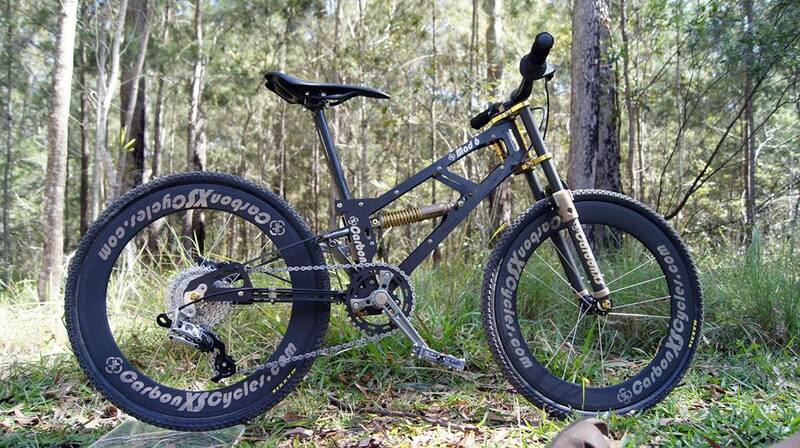 And naturally, it’s not cheap, coming in at an eye-watering AU$ 3,950 (£1,850). 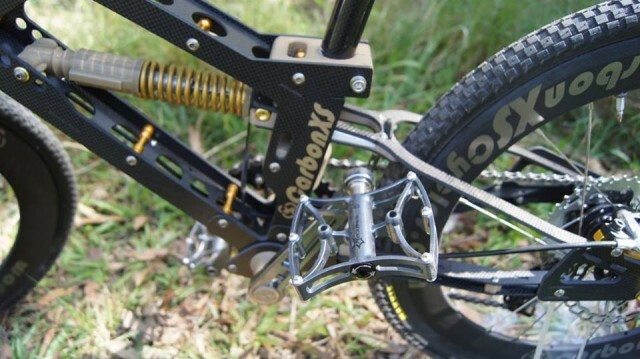 While a £2K custom-made kids’ bike may seem excessive, it may actually present today’s best value in a custom-built full-suspension suspension frame. Shame we’ve already outgrown it. £1,850! You could take the kids away during the school holidays for twice that. 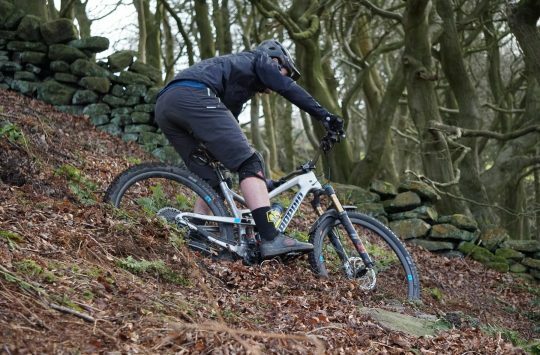 No front brake? I suppose skids ARE for kids.